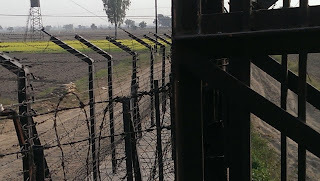 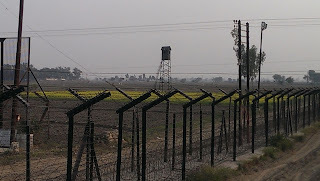 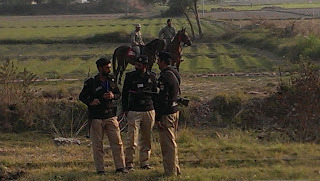 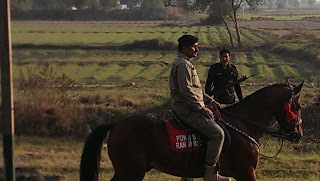 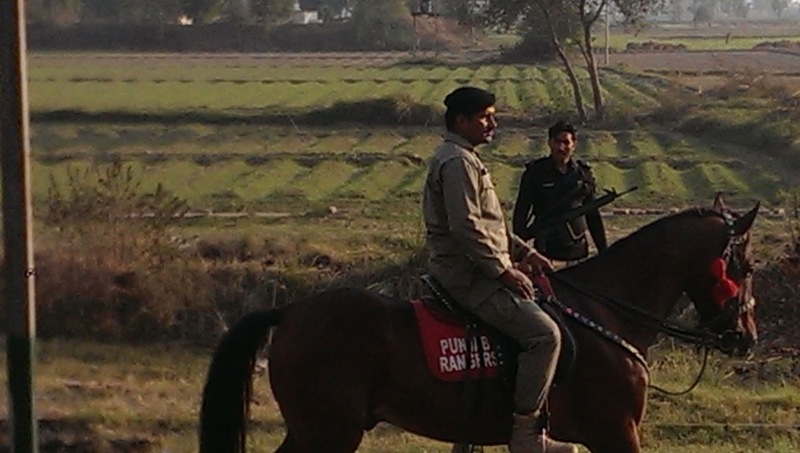 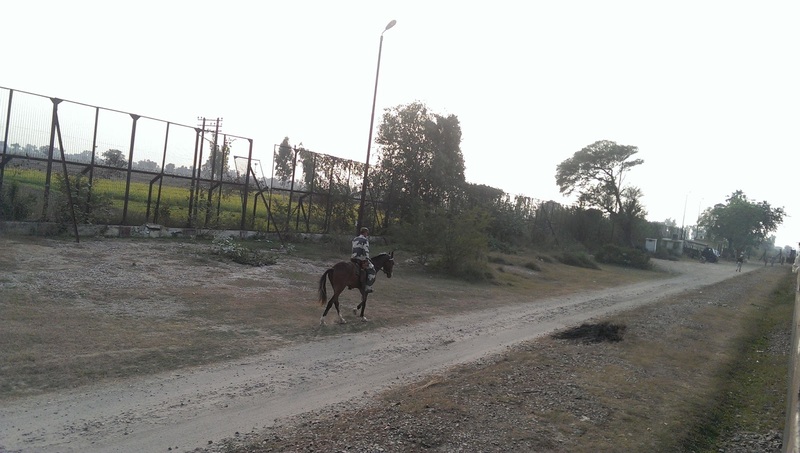 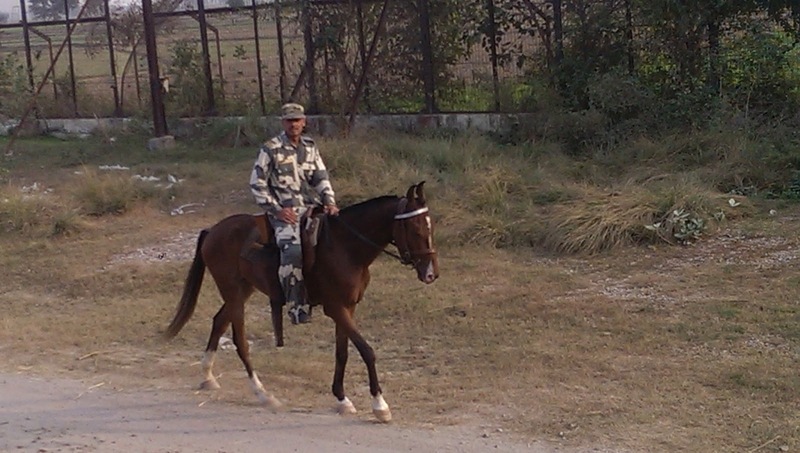 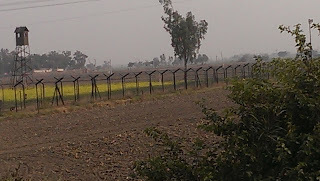 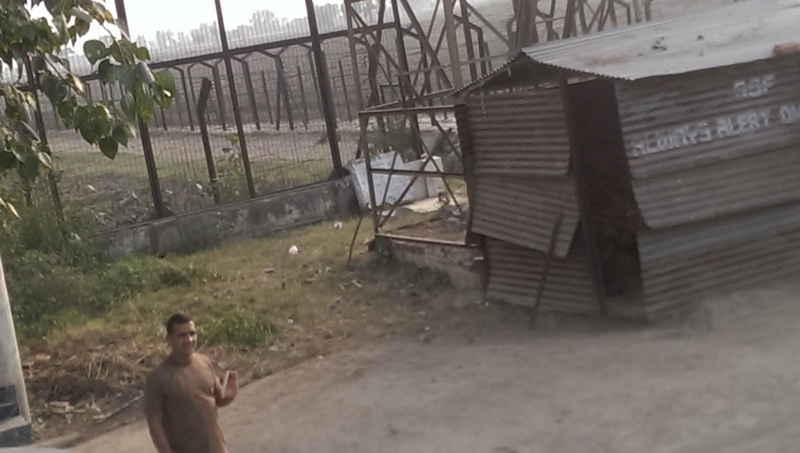 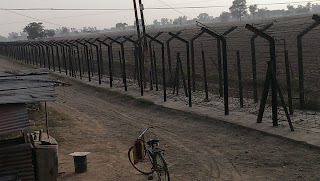 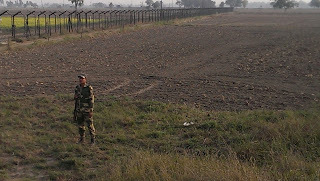 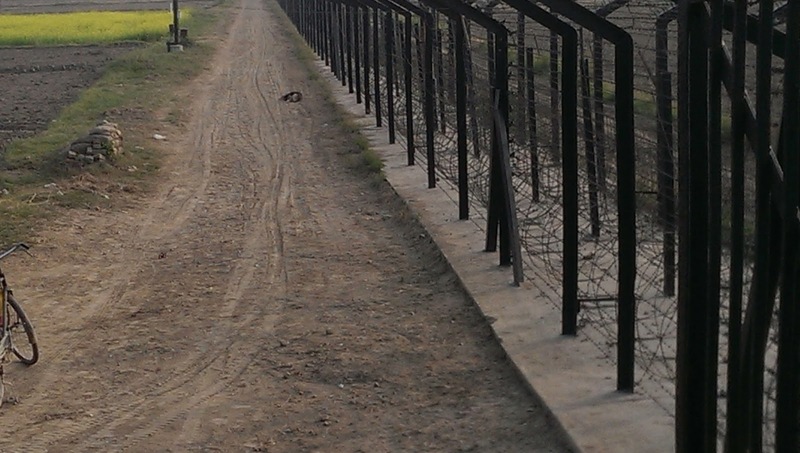 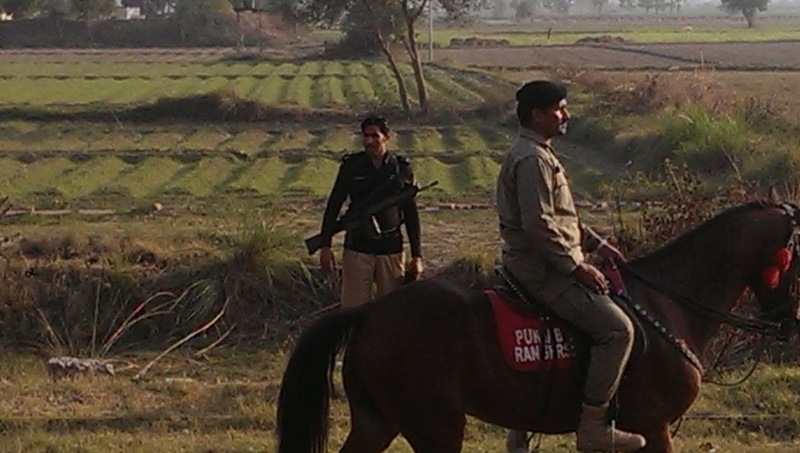 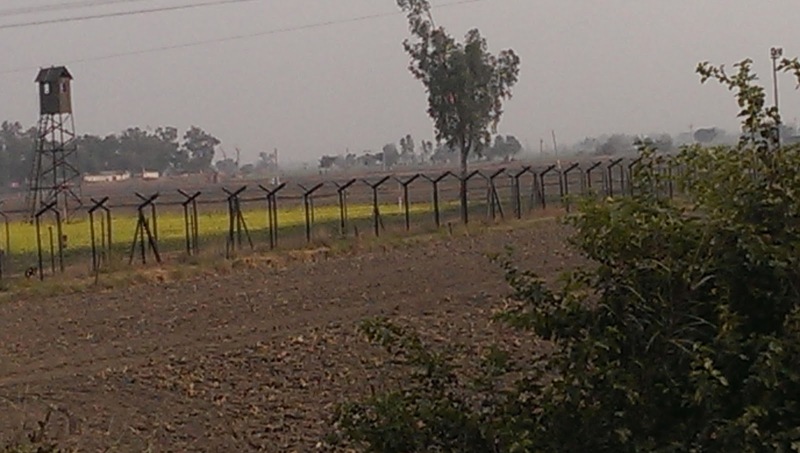 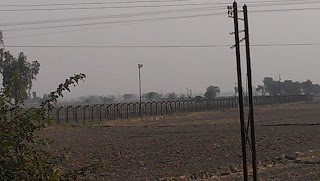 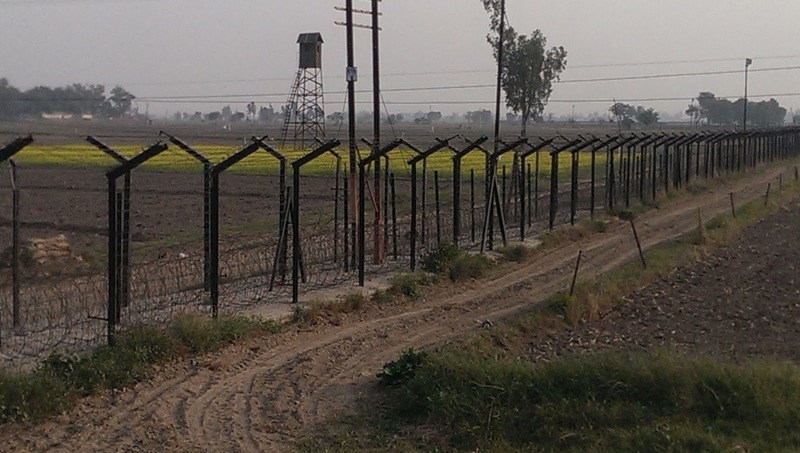 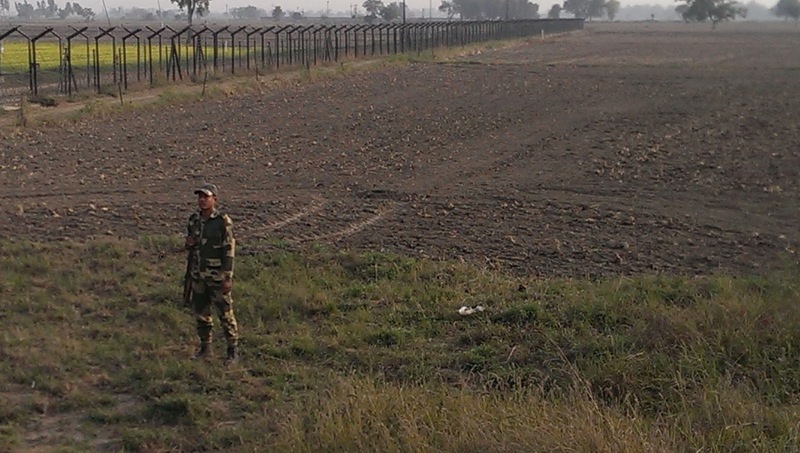 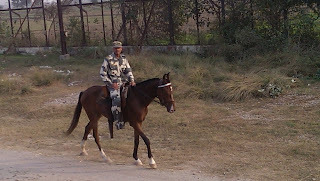 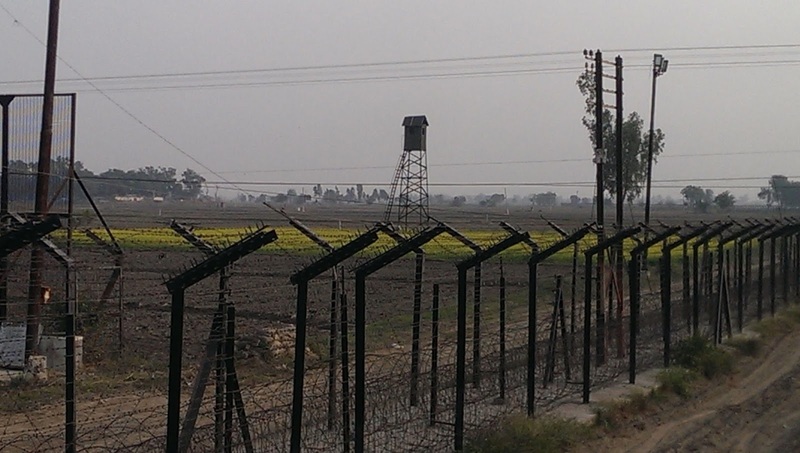 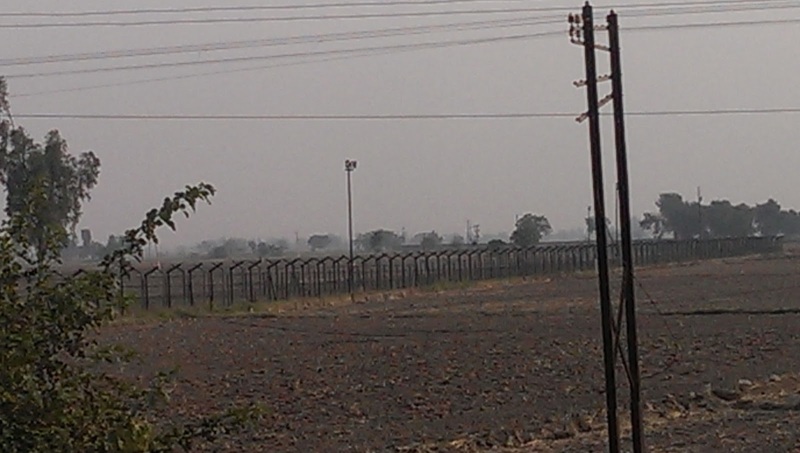 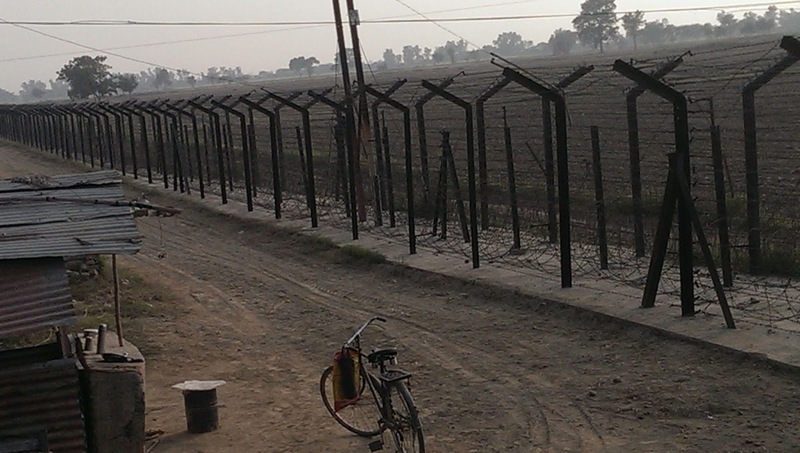 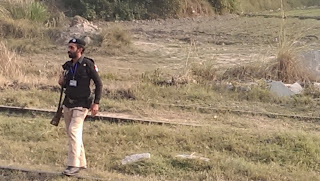 Armed BSF men keep patrolling the track. Here you see holes in the fence, what for? was over joyed. 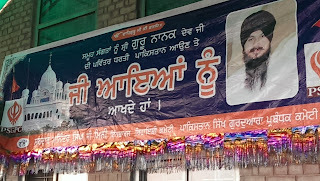 He made us talk to his wife a teacher. 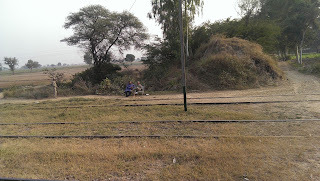 We gave him sweets which he shared with other men. 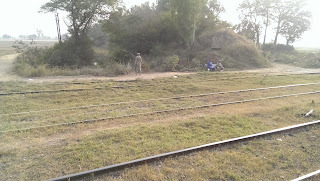 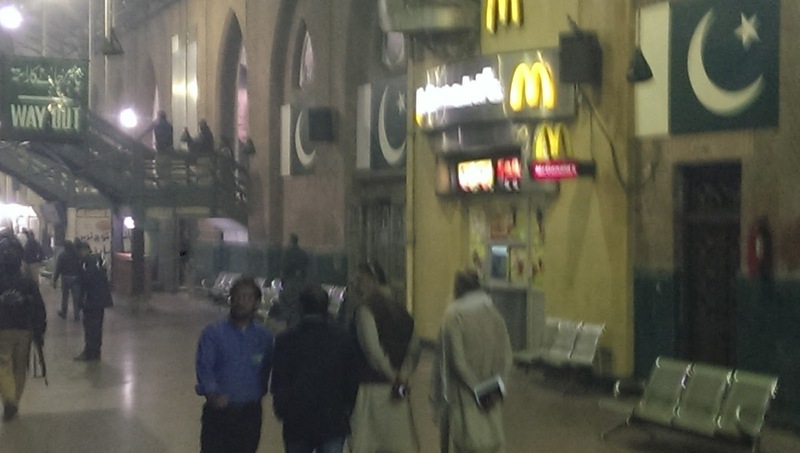 And we reach Wahga Station. Immigration check at Wahga impressed the passenger with their speed. 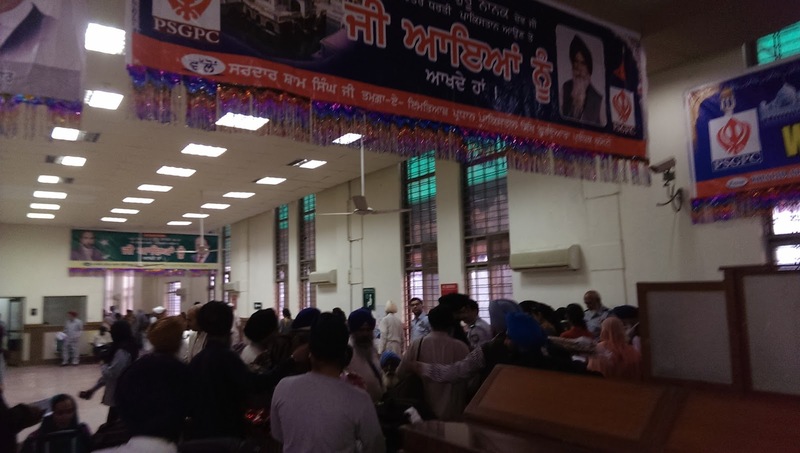 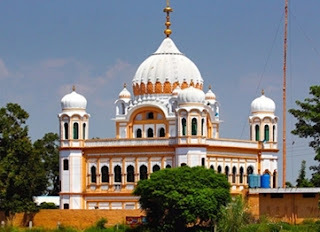 The security was tight at Panja Sahib as the Govt has suspicions that some forces which are inimical to Sikh-Muslim friendship may do some mischief. 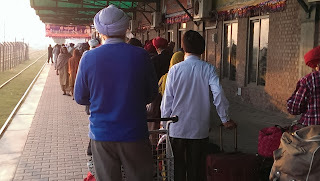 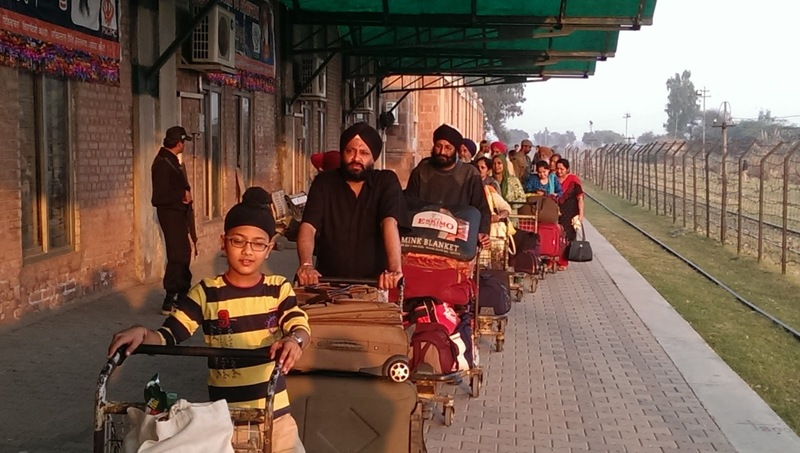 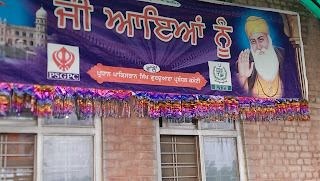 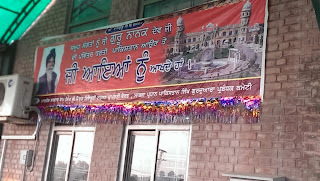 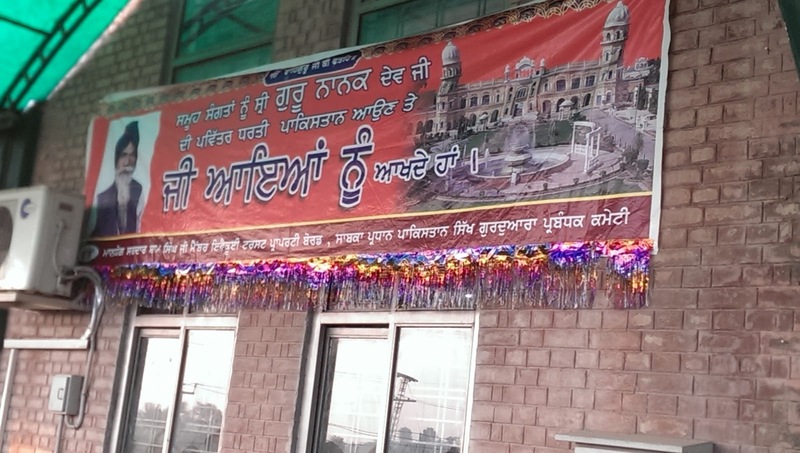 Pilgrims were not allowed to go outside the gurdwara complex. 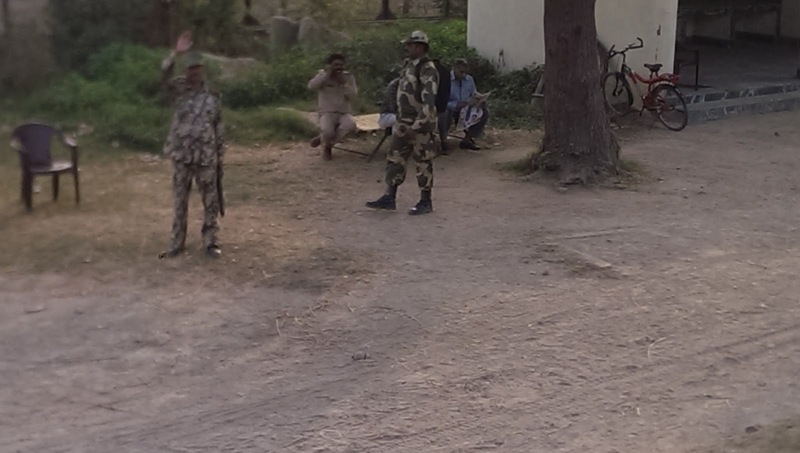 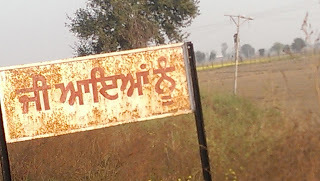 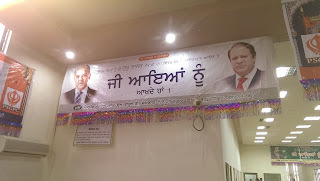 However on 21-11-15 the Govt made arrangements so that the pilgrims can visit Wali Kandhari's hill. 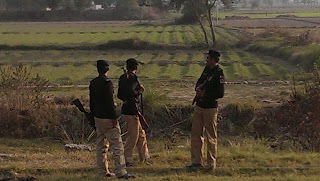 All along the 3 km passage was police deployed. 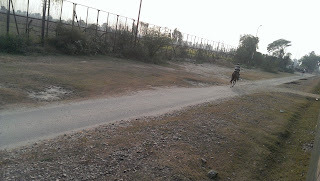 The market remain force closed by Govt. 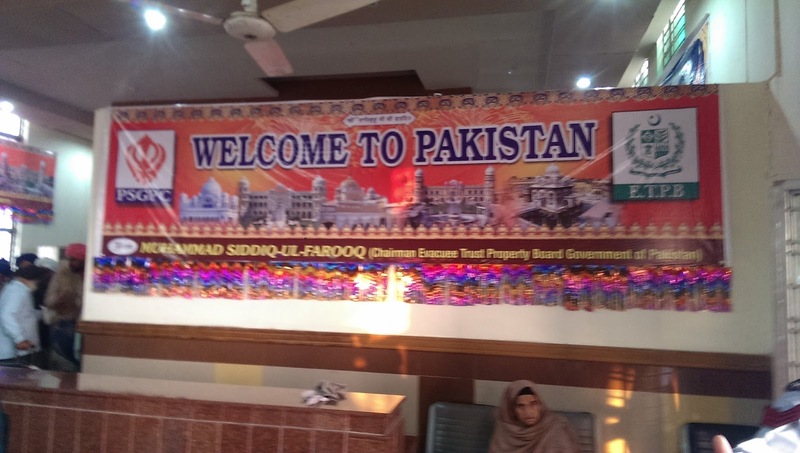 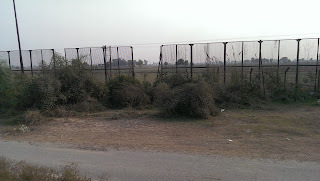 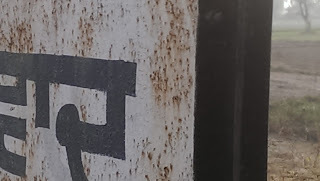 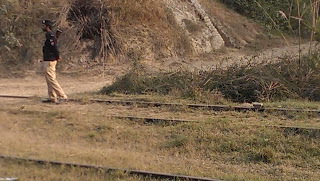 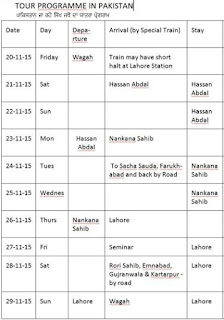 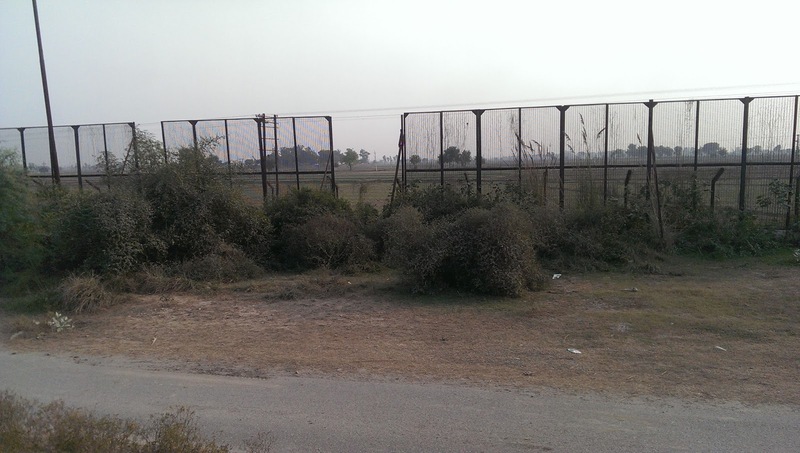 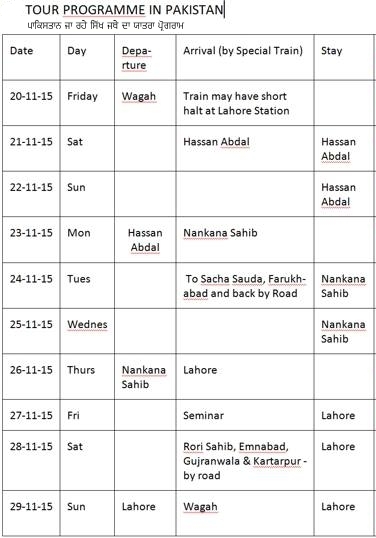 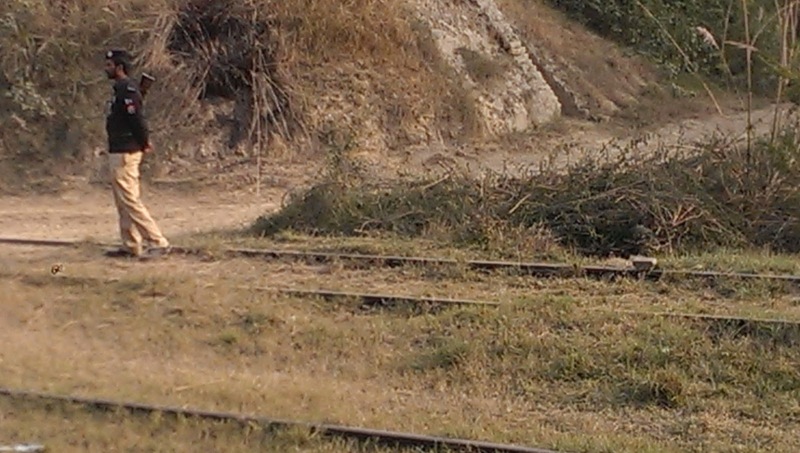 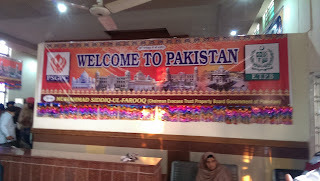 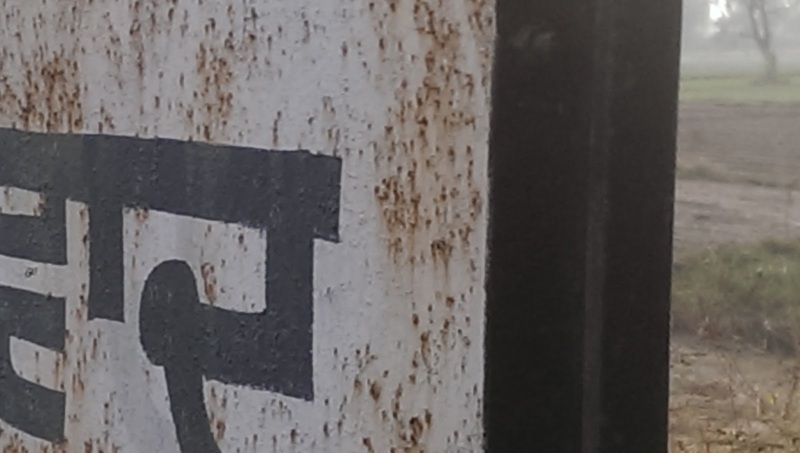 THE FOLLOWING IMAGES R TAKEN WHILE IN TRAIN FROM HASAN ABDAL TO NANKANA SAHIB. 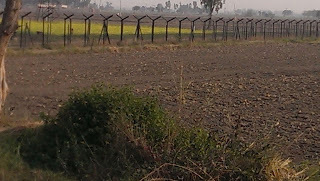 We found vast lands which remain uncultivated. We felt sorry for our leaders who accepted Partition and we had to abandon our vast lands to accept small areas.